3mm / 4mm / 5mm Etc. 300 G / M2 , 350g / M2 Etc. Miltary Protection , Military Exercises Base, Flood Control Etc. 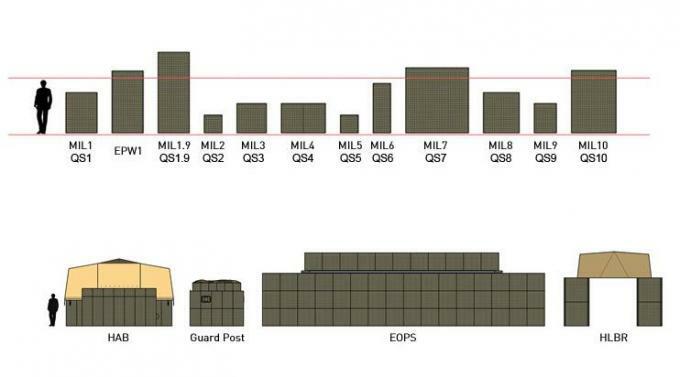 MIL units enable the construction of rapid and efficient blast and ballistic resistant perimeters and can be used in a wide variety of configurations, from a simple boundary walls to city-like fortifications. Each unit has been developed to provide a flexible solution for a wide range of protective and structural requirements. They are available in a variety of different sizes and delivery systems. All MIL products are delivered palletized with joining pins and can be filled using minimal manpower and commonly available equipment. RAID has been designed to reduce the logistical problems surrounding deployment of large quantities of barriers into theatre, particularly for the construction of perimeter walls and forward operating and patrol bases. This unique delivery system permits the loading of pre-connected lengths of MIL units directly into a specially modified ISO shipping container engineered to conform to all ISO stacking and transportation standards. Corners can be easily formed, more units can be joined, and gaps in the wall can be created for entry control points. HESCO Accommodation Bunker (HAB) will house up to 8 personnel, providing blast and fragmentation protection, allowing personnel to live and work in safety, when deployed in remote and unstable environments; such as Forward Operating Bases, Company Outposts and remote industrial facilities. 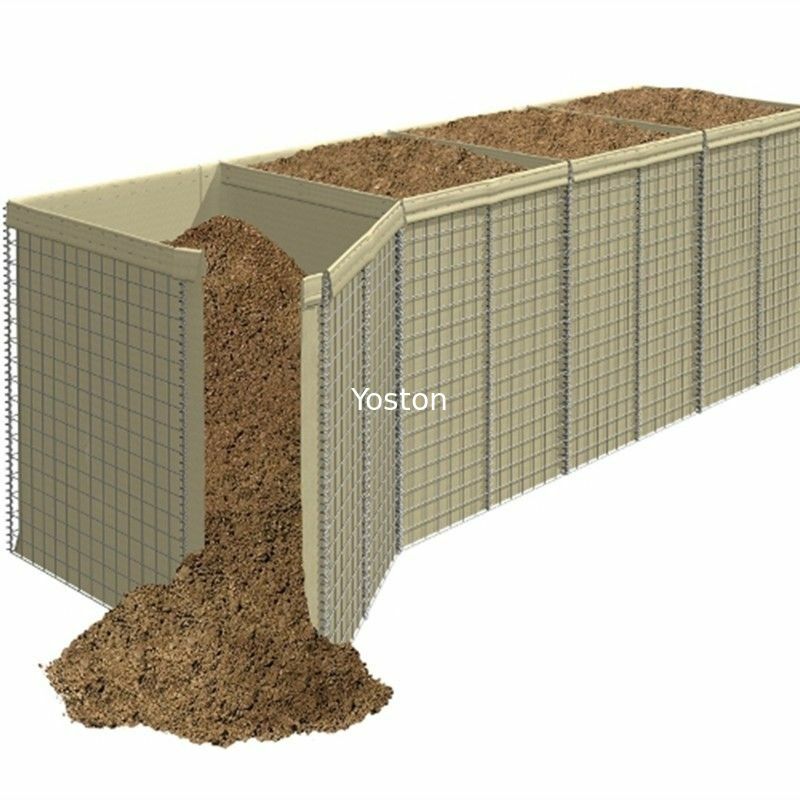 HESCO Lightweight Bunker Roof is specifically designed to provide collective protection, for living accommodation, field hospitals, safe houses or overhead cover for ammunition and fuel stores. The roof can be built on almost any walls capable of taking the load that the roof will impose upon it. 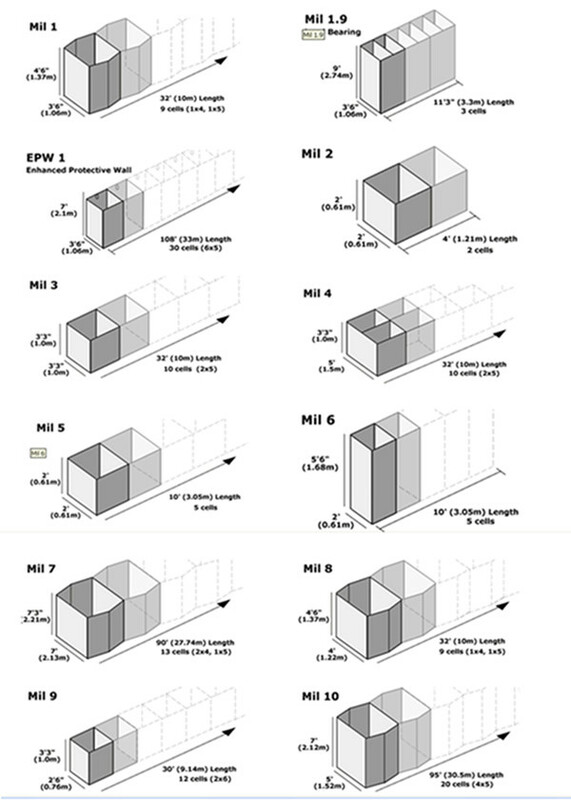 The components of this set provide a small protective emplacement and delivered on a single pallet. Using next generation composite materials Hesco provide light and durable rapid response plates for law enforcement and military personnel entering active shooter situations. The Yoston Military defensive Barrier has been fortified by our defensive barriers and our work with the military. From a simple perimeter wall to a complex base infrastructure, HeslyBarrier products provide rapid expeditionary protection to personnel, equipment and critical assets in any terrain. 2. Wire Diameter: 3mm, 4mm, 5mm, 6mm etc. 3. 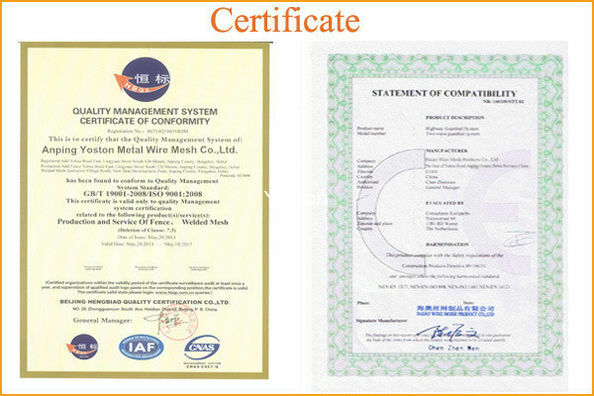 Spring Wire: 3mm, 4mm, 5mm, 6mm etc. 4. Mesh Hole: 50mm x 50mm, 75mm x 75mm, 76.2mm x 76.2mm, 100mm x 100mm etc.